The band launched at the start of 2017, releasing a music video for their debut single ‘Find My Way’ - which depicts the fictional story of how each member joined the band. Premiered via Kerrang! Radio to a great response, the track was followed almost immediately by the release of their debut EP ‘The New Era’ on Friday 13th January 2017. 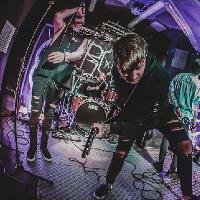 After selling out their hometown EP release show the band released another video with their second single ‘Be Yourself’ (which regularly aired on Scuzz TV), to support two successful UK headline tours. FROM INSIDE have gone from strength to strength with the release of their debut album &apos;When I&apos;m Breathing Without You&apos;. Here are the latest FROMINSIDE mixes uploaded to Soundcloud. Do you promote/manage FROMINSIDE? Login to our free Promotion Centre to update these details.